Serena said she made the decision to send Alexis for a sleepover while she completed her regular night shift at the zoo. “I’d just sent Alexis off to her grandparents house for the night for a sleepover,” she said. “The next morning, I got a call from them telling me that she had managed to cut all her hair off!” Serena believes that Alexis may have got the idea to give herself a haircut after accompanying her to the salon a few days earlier. “I thought they were joking but then I realised they weren’t and it was really happening,” she said. “Apparently she had got hold of a pair of scissors and just went crazy. 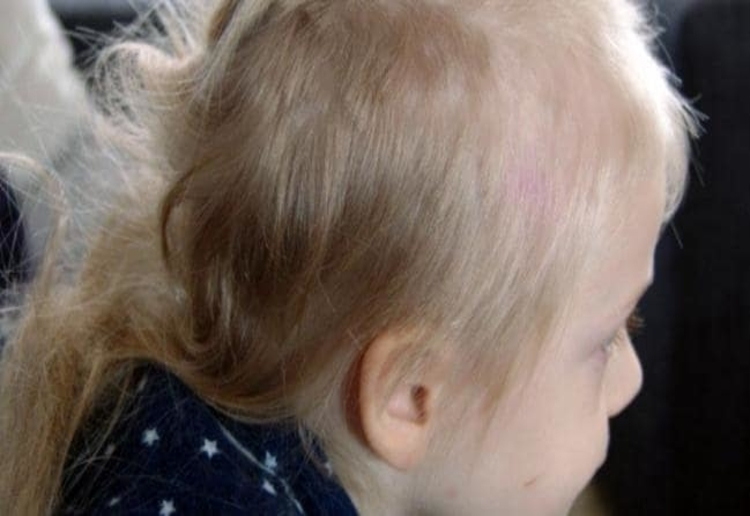 It all happened in a matter of minutes.” Serena says her parents couldn’t believe their eyes when they found blonde hair strewn around their house. Has your child given themselves an unusual haircut? Share your story in the comments. My niece gave herself a hair cut when she was around 4. It was only a few centimetres but it was all over the place. It took a while to grow back properly. Scissors are such dangerous items to leave around where kids are concerned. I hope she keeps a picture of this to show at her daughters 21st. Also glad she doesn’t blame the grandparents. Awww, I would be horrified too. The only saving grace is knowing that it will grow back. Oh poor thing, these things happen, at least she didn’t cut herself. Oh no. At first I thought the grandmother did that to her. Thankfully not. I chopped my pony tail off when I was about 4. Had to get a short bob to fix it. Thankfully it grows back… so better her than her dolls hair! Lucky she didn’t hurt herself but hair grows back! It will grow again and probably stronger too. I’d be more worried that she found the scissors let alone used them – she could have done a lot more damage to herself than just cutting her hair. Ops! It will grow again indeed. But what an experience!! Obviously an accident! The headline makes it sound like it was done on purpose.